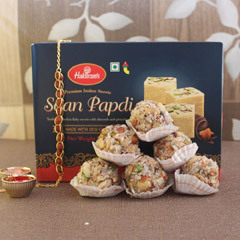 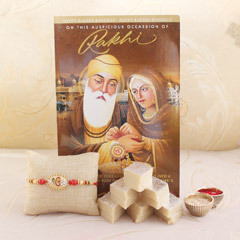 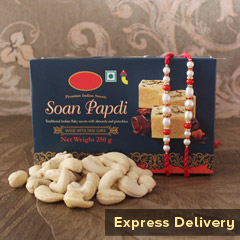 On the auspicious occasion of Raksha Bandhan, just like every sister if you are also willing to make your brother feel loved and cared, here is the gift you need to consider gifting and delighting your brother. 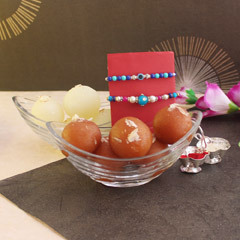 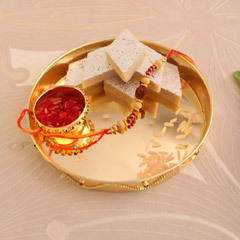 For adorning his wrist, there is a beautiful Rakhi, for giving him a delightful time, there is a pack of utterly delicious sweets and into the sanctity of the festival, there is a decorative puja thali as well. 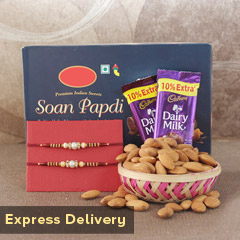 Altogether, it’s an excellent gift option to make choice for!